Jean Christiana Corbin, age 84. Sunrise August 15, 1934 and Sunset December 23, 2018. Visitation 10:00am and Funeral 11:00am Friday, December 28, 2018 at Christ Memorial Baptist Church, 3330 E Livingston Ave.
Interment Forest Lawn Memorial Gardens. We can’t begin to imagine what you are feeling, but please let us share our heartfelt condolences. In times of distress we need comfort that soothes our hearts. May the peace of God guard your hearts. Thinking of you all. I wanted to send my deepest sympathy to your family for the loss of your sweet mother. I remember Mrs. Corbin as a gentle and kind lady who always had a smile for all of us “kids”. May she rest in Our Lord’s peace and may He grant you all comfort as you mourn. 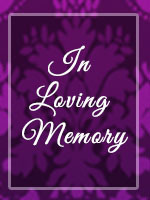 Sending heartfelt condolences from the family in Atlanta, GA to you Cassandra and your family in Ohio. Remembering Cousin Jean for her strength of getting things done, with that Oh so soft and gentle voice. May the blessings of GOD continue to cover your family. Much Love and Prayers from your family in Atlanta. Our deepest sympathy to the Corbin family. Aunt Jean was a big sister to me, and I loved her very much. She was the last one left of my Mother’s siblings, now she has joined her Mother, Brother and her 2 Sisters. She will be greatly missed. May her Family have strength to endure this great loss. My deepest condolences for the Corbin family. We will miss Aunt Jean very. Her wings were ready, but my heart was not. A belated sympathy for your loss of Jean.